PLEASE NOTE: Apparently, the Record Label has long since removed the track samples from Soundcloud, but I have since relocated the Divided Self Youtube clip. Progressive Rock is by now a fairly broad genre and I am quite happy that it has seen resurgence in popularity recently, with both younger and older listeners (thanks in part to artists like Steven Wilson and Porcupine Tree). At its worst, some Prog Rock tracks can carry on far too long and collapse under the weight of their own bombast, instrumentation or blatant commercialism, and at best can yield some really inventive music, pulling from a variety of influences and periods (rock, blues, folk, classical, instrumental, vocal…). This is not at all to say that longer pieces are all bad—far from it (my lasting fondness for the Genesis works Firth of Fifth or Cinema Show support this). 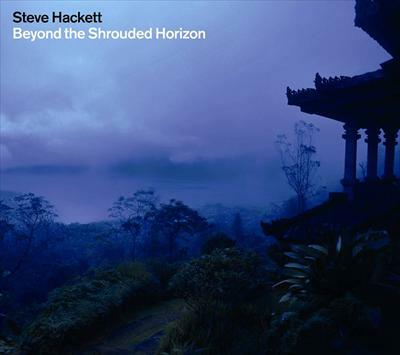 Since my primary experience over the years has been with the works of Steve Hackett and Genesis, my point of reference is more Hackett than with Chris Squire and his band Yes. The Squackett project had apparently been brewing for about four years while SH could settle personal matters and scheduling with CS. I more or less parted ways with the works of the band Yes at about the same time that Bill Bruford left for King Crimson; I remained laterally interested in their subsequent releases and followed Jon Anderson’s earlier solo career before his work got a bit too mystical for my taste (although I enjoyed much of Anderson’s collaborative work with Vangelis). Chris Squire’s work comprises some twenty studio albums, ten live albums and numerous compilations with Yes in addition to his three solo albums and many collaborative works with Rick Wakeman and others. The Yes Album is perhaps my strongest connection to CS’s work. The song I’ve Seen All Good People, and in particular part b: All Good People (penned by Squire) and then later the driving bass line in the song Roundabout from the 1971 album Fragile. 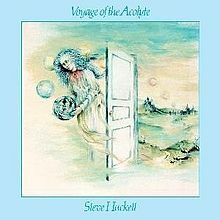 As for Steve Hackett, in his long career, he has constantly reinvented and explored many music genres, styles and formats (having practically invented the “unplugged” album with the acoustic/instrumental Bay Of Kings in 1983). SH has also explored shorter format songwriting, having penned beautiful ballads like the early Hoping Love Will Last (from Please Don’t Touch) to the sardonic Little America (from Guitar Noir). A Life Within A Day may be too song-oriented for diehard Prog Rock fans that desire longer instrumental works. With one exception, eight of the nine songs vary from four to six minutes in length. Squire, Hackett and Roger King (long-time SH collaborator) have produced an album of concise, well-crafted and accessible songs. For the most part, the album takes few breaks and stays sharp with minimal forays into a more (and often dreaded, in Prog Rock circles) “commercial” sound. I appreciate that the songs are for the most part NOT overly polished; there are some rough edges, quick key and rhythm changes (Jazz and Blues fills). There are enough familiar Prog Rock elements present for this album to strike a successful balance between the shorter format and instrumentation. A Life Within A Day: Although not as stark in instrumentation or spoken-word, the opener has an air of the SH song Darktown about it; majestic opening, sudden rhythm shifts, aggressive percussion, sharp guitar, bass solos and SH’s clustered vocals with Roger King’s sinister (and familiar) orchestral production. This is the most aggressive track on the album. Tall Ships: A nylon string guitar opening followed by vamping guitar, bass and percussion riffs (constructed similarly to works penned by Mike Rutherford, but with sounds of Robert Fripp and Bill Nelson-like guitars) sail with this ocean-going journey. CS’s vocals coupled with a rather catchy rhythm, guitar reminiscent of Steve Winwood’s album Arc of a Diver followed by a broad vocal chorus—funky too. Divided Self: Instantly, The Byrds Turn, Turn, Turn comes to mind—homage to the 1960s? SH sings lead vocals with an infectious rhythm, catchy and quick guitar solo chorus and melodic bass line. Following the main part of the song there is a hauntingly playful ending like that of SH’s Circus of Becoming (with whistling). Some might also notice a similarity to the Genesis song Tell Me Why. This is a great song! Aliens: CS is the primary vocalist and there are times that this easily could be heard as a Yes track (the vocal chorus is akin to Jon Anderson’s sound); the lyrics being of future travels and science fiction. The keyboard opening is a bit timid. This also has a sound that is similar to the opening SH’s Loch Lomond (acoustic guitars sounding a bit like zithers). It remains relatively tame. Layered vocals and guitar solo fills. Sea Of Smiles: Clustered vocal opening, melodic percussion, keyboards, bass line, up-tempo rhythm that repeats. A guitar solo coda that eventually develops into a dense almost relentless rhythm similar to Group Therapy from SH’s 1982 album Highly Strung. The Summer Backwards: Is the shortest track on the album and it has a comfortable and reflective quality. The opening is very similar to one of my favorite vocal pieces by SH, Serpentine Song, descriptive of the scene—almost a waltz (trading three and four beats)—no pencil-grey days here though. Stormchaser: Guitar, bass and drums open with more sinister vocal treatments; reminiscent of Duel from Till We Have Faces. It is the sound of raucous pursuit. Perfect Love Song: This piece seems to me to be more of a building coda to Can’t Stop the Rain than a stand-alone song. 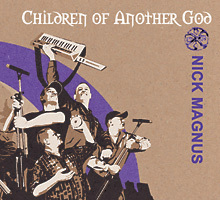 The vocals are shared by SH & CS. Long distance and long-term collaborations are often tricky (compromises made and sometimes continuity lost). 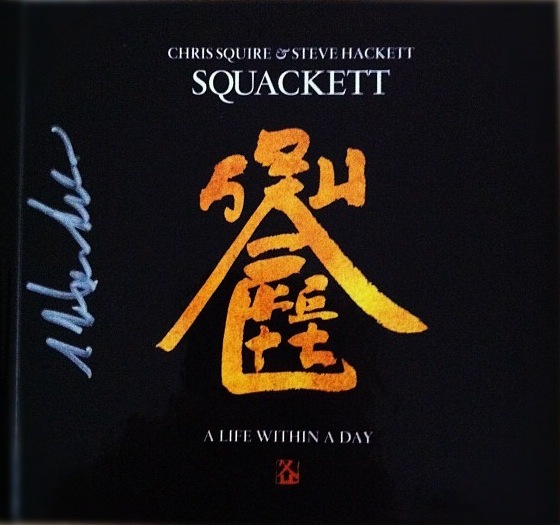 At times, A Life Within A Day seems a bit safe for Hackett, Squire and King aka Squackett who have been known as musical innovators throughout their careers. Yet it is a spirited gateway to the rest of their collective works and a solid introduction, I think, to a wider audience. 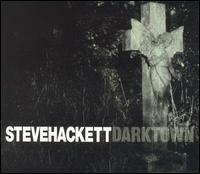 A great change of pace, and I enjoyed many of the songs on this album, almost immediately.